The Southwest Rapid Rewards® Plus Credit Card is one of Southwest Airlines’ three consumer credit cards, with the lowest annual fee among them. That said, it also comes with the fewest benefits. The Southwest Plus card offers decent rewards to help you earn free flights with Southwest, but doesn’t stack up well against other airline credit cards. It’s most useful in trying to acquire the Southwest Companion Pass. But for most people, a more general travel rewards credit card will provide better perks and rewards earning. Check out the CardCruncher tool to find the card that’ll give you the most rewards. As for the Southwest Plus Card, here’s you need to know. Bottom Line: Should You Apply for the Southwest Rapid Rewards® Plus Credit Card? The Southwest Plus Card is a decent low-cost airline credit card, especially if you’re loyal to Southwest. Here’s what makes it worth considering. The card’s annual fee is already a low $69, but to lower the effective cost even more, the card also gives you 3,000 points every year on your account anniversary. Southwest Rapid Rewards points are worth roughly 1.5 cents apiece, which means those points are worth about $45. The points value can fluctuate, but a small bonus beats no bonus. You’ll earn a sign-up bonus of 40,000 points after you spend just $1,000 in the first three months. If you don’t spend enough to get a bigger sign-up bonus with a better card, this one’s worth it. Southwest’s award flights cost a fixed value compared to the price in cash, so if you find a cheap flight, you’ll have more than enough points from the bonus to book a vacation. In addition to the card’s rewards, you’ll also get lost luggage reimbursement and baggage delay insurance. While that you likely won’t need these perks often, they can provide you with peace of mind. While the Southwest Plus Card has some redeeming qualities, there are some features—or lack thereof—that make it easy to pass on. The marketing materials on the Southwest Plus Card mention that you get your first two checked bags free and won’t pay change fees. The thing is, these are just features of all Southwest flights and not specific just to cardholders. While other airline credit cards offer benefits like priority boarding and discounts on in-flight purchases, you won’t find those here. You can redeem your Rapid Rewards points for flights, hotel stays, car rentals, gift cards, access to exclusive events, and merchandise. But you won’t get as much value with any of those as you would with flights. Other, more general travel rewards cards offer greater flexibility. Most travel credit cards don’t charge a foreign transaction fee, but this one comes with a 3% fee on all international transactions. While Southwest only flies to a handful of places outside the U.S., if you fly to one and use this card, you’ll be paying extra. If you’re considering the Southwest Plus Card, make sure to compare it with these options before you apply. 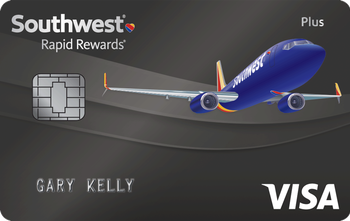 If you like Southwest Airlines, but want a card with better benefits, consider the Southwest Rapid Rewards® Premier Credit Card. The card has a higher annual fee, but also a higher anniversary bonus of 6,000 points. Also, you won’t have to pay foreign transaction fees. If you want to earn Southwest Rapid Rewards points, but don’t want to limit yourself to just free flights, the Chase Sapphire Preferred® is a better option. 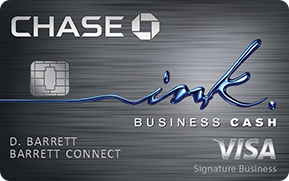 This card allows you to transfer points to Chase’s many airline and hotel partners, including Southwest Airlines. It also earns 2X points on all dining and travel purchases—including Southwest Airlines flights. 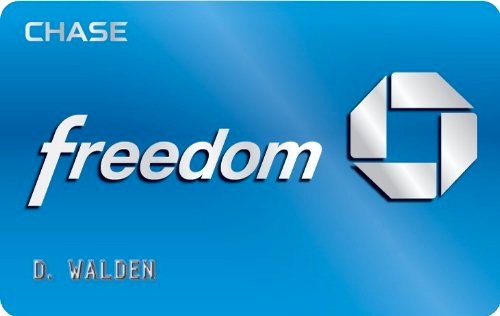 Alternatively, you redeem your points for cash back, gift cards, or to book other travel through Chase. If you want even more flexibility with your travel rewards, the Barclaycard Arrival® Plus World Elite Mastercard® may be worth a shot. This card offers an impressive sign-up bonus, plus 2X miles on all purchases. To redeem your rewards, simply use the card to book travel, then redeem your miles as a statement credit against the purchase. 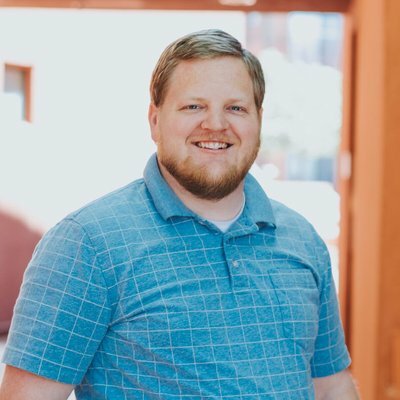 If you have other questions about the Southwest Plus Credit Card, here are some common questions we’ve found, along with their answers. How many points is a Companion Pass? The Southwest Companion Pass allows a companion of your choice to fly free whenever you book a Southwest flight for nearly two years, depending on when you earn the pass. You just have to pay the taxes on each flight, which is under $10. Those free tickets represent hundreds, if not thousands, of dollars in value. To get the Companion Pass, you need to earn 110,000 Southwest Rapid Rewards points in a calendar year. The easiest way to do that is with the airline’s co-branded credit cards. How many points are needed for a free flight on Southwest? Unlike other airline programs, Southwest Rapid Rewards points’ value is more closely related to the cash value of a flight. This means that there’s no set minimum cost for a flight. If you find a $69 fare, you’ll pay very few points. If you find a $400 fair, you’ll pay more points. How do I maximize my Southwest Rapid Rewards points? The value of your points can vary based on when you book and the level of fare you purchase. When you go through the booking process, take a look at what a flight would cost with both points and cash to get an idea of what your points are worth for that transaction. If it’s too low, consider changing your flight date or destination, if possible. Even for Southwest fans, the Southwest Plus Card isn’t that impressive. 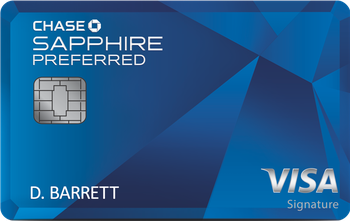 If you’re looking for ways to earn Rapid Rewards points, consider one of the more valuable co-branded cards from the airline, or the Chase Sapphire Preferred®. You can earn just as many points for booking Southwest flights on a card like that—plus even more on other travel and dining purchases—with the added benefit of more flexible points. Don't see what you're looking for? Ask a question here about Southwest Rapid Rewards® Plus Credit Card Review: Useful for Frequent Flyers, But Limited on Rewards and one of our experts will get back to you.